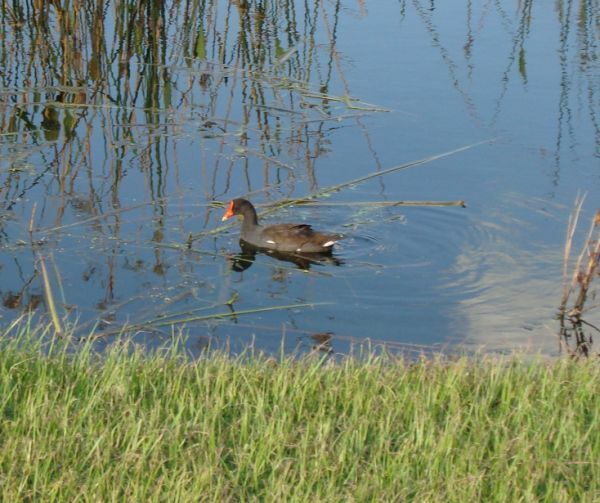 Spectacular wildlife is regularly seen around the Pelican Pointe property and golf courses. 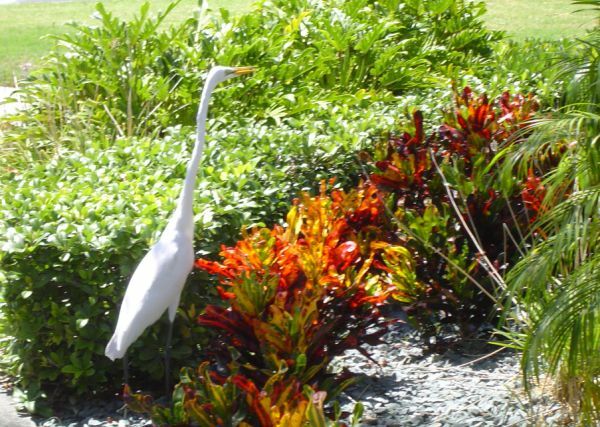 If you would like to add a Pelican Pointe wildlife picture to our collection, please contact the Clubhouse office. Please respect the habitat of these animals. 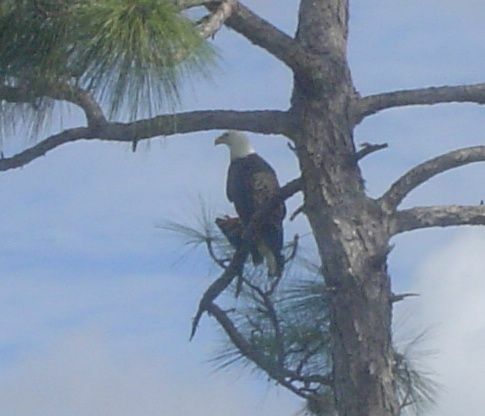 Bald Eagle or American Eagle seen from the Grille Room. Also known as the United States national symbol. Ben Franklin wanted the Wild Turkey to be the national symbol, but the second continental Congress in 1782 selected the Bald Eagle to represent the country. The Bald Eagle was endangered in most of the United States from 1967 until 1995. Today the Bald Eagle can be found in many of the lower 48 states. American Coot enjoy the swim. This unique animal does not have web feet like a duck. Wild Florida Bobcat early in the morning. Bobcats are rarely seen in populated areas in Florida such as Venice. This is a very rare occurrence. Bobcats are usually 15-35 pounds. They are very territorial, because they are small and hunt prey that is abundant. Home range varies from five to fifteen miles. 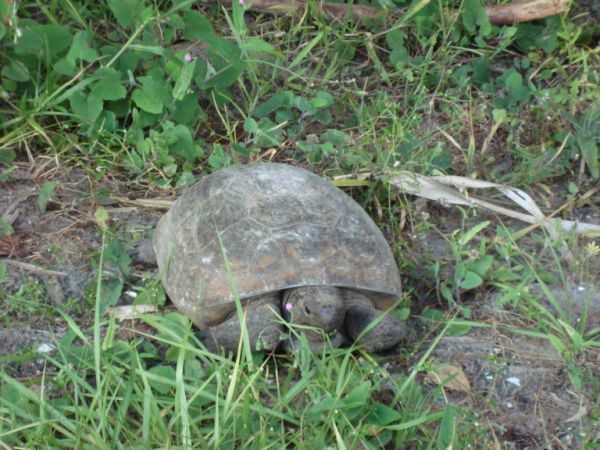 Gopher Tortoise are abundant along Hatchett Creek. This species belongs to a group of land tortoises that originated in North America, 60 million years ago, thus making it the oldest living species on earth. The Florida Gopher Tortoise are on the Endangered Species List. The Gopher Tortoise live in boroughs and their primary reason for being endangered is a loss of habitat. 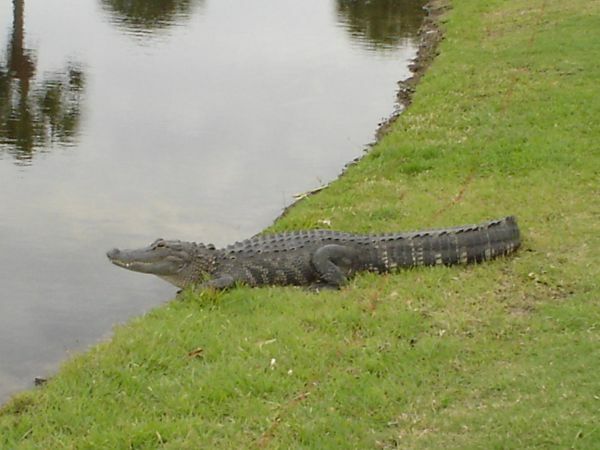 North American Alligator found sunbathing along the 18th hole. Can grow up to 14 feet in length. The species was declared endangered in the 1960's but now is abundant in the Southeastern United States. The Great Blue Heron lives mostly in colonies, building nests in the uppermost branches of tall trees, but, when necessary, it will nest in smaller trees or even on the ground. The heron's principal food is fish taken from shallow water. It also eats frogs, snakes, insects and very small mammals such as mice and voles. Very few birds or animals risk encounters with the Great Blue Heron, for its sharp and powerful bill is capable of inflicting serious wounds. Most Great Blue Herons are between 80 and 90 cm (31 to 35 in.) tall. Their wingspan ranges from 167 to 201 cm (65 to 78 in.). Males are generally larger than females. They get their common name from the bluish tinge of their grey feathers. 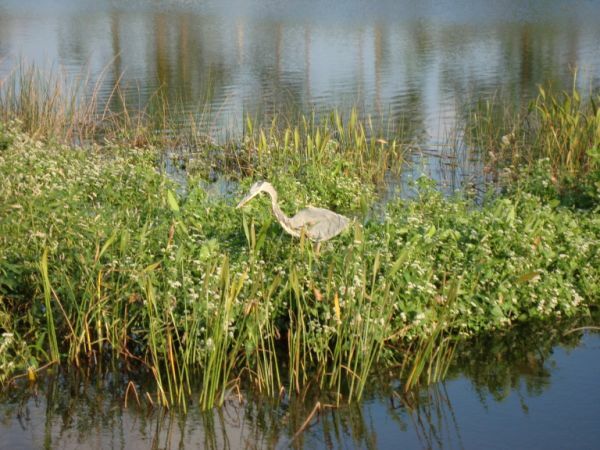 The Great Egret is a tall White Heron that has a long graceful neck, long black legs and black feet. Its long pointed bill is yellow. Like the Great Blue Heron, it uses a "stand and wait" method of catching fish. It wades in shallow water until it finds the right spot to wait for its meal to swim by and then it stabs it with its sharp bill. During breeding time the great egret has beautiful lacy white plumes on its back and tail. Unfortunately, these feathers are what almost caused the bird to become extinct. Before it was protected by law, the great egret was hunted and killed for those lovely white plumes. The Eastern Cottontail Rabbit eats green vegetation of grasses and clover in summer and bark and twigs in the winter. Its predators are hawks, owls, and humans who hunt them for food and fur used for clothing. Very territorial and aggressive, the Eastern Cottontail can leap into the air up to fifteen feet. When running from predators, they will often leap from side to side to break their scent trail. 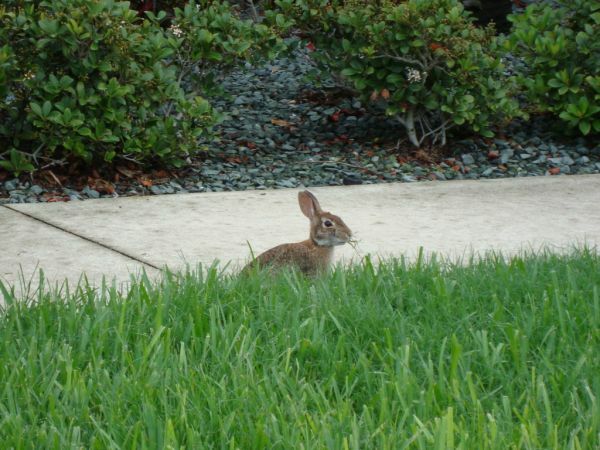 The Cottontail Rabbit can run up to fifteen mph.